Parents, teachers and students frequently look for accessible, child friendly and easy to use materials that encourage independent learning. Publications from Tutor Master Services support the development of children's skills in comprehension, literacy & story writing. Because some schools test comprehension skills by using standard type questions, David Malindine wrote Tutor Master helps you with Comprehension Practice Standard Introductory Set One. This book contains important practical advice for younger students on the best ways to approach standard comprehension tests and how to write effective and purposeful answers. 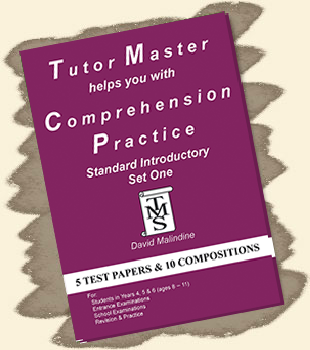 Because some schools test comprehension skills by using multiple choice type questions, David Malindine wrote Tutor Master helps you with Comprehension Practice – Multiple Choice Introductory Set One. This book contains important practical advice for younger students on the best ways to approach multiple choice comprehension tests and how to write effective and purposeful answers. 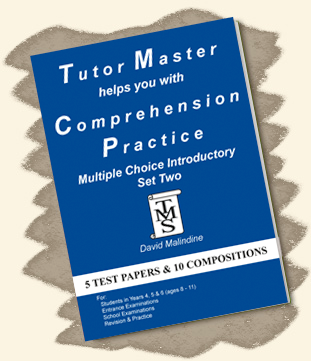 Because some schools test comprehension skills by using multiple choice type questions, David Malindine wrote Tutor Master helps you with Comprehension Practice – Multiple Choice Introductory Set Two. This book contains important practical advice for younger students on the best ways to approach multiple choice comprehension tests and how to write effective and purposeful answers. 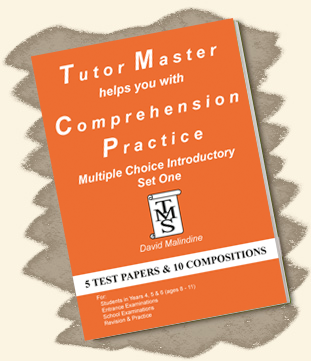 Because some schools test comprehension skills by using multiple choice type questions, David Malindine wrote Tutor Master helps you with Comprehension Practice – Multiple Choice Set One. This book contains important practical advice on the best ways to approach multiple choice comprehension tests and how to write effective and purposeful answers. Although the same reading passages are used as in the Standard Set One, this book contains totally different questions, and a further choice of different creative writing opportunities such as stories, reports and letters. As well as being suitable for general revision and practice, the comprehension tests contained in this book were written to assist students who are preparing for entrance examinations at 11+ and for grammar and independent schools. 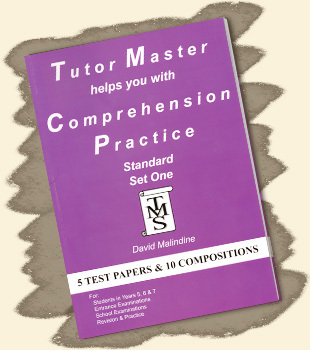 This book contains important practical advice on the best ways to prepare for standard comprehension tests (where the answers are written rather than multiple choice) and how to write effective purposeful answers. It also provides tips and advice for writing compositions/essays, which are writing tasks that cover aspects of creative writing such as stories, reports and letters. Included are 5 comprehension passages plus accompanying questions with space provided for students to write their answers. Also included is a choice of 10 composition/writing tasks plus space for responses to these tasks to be written in the book. Full and detailed answers are provided with an easy to use mark scheme that covers both the comprehension questions as well as the creative writing tasks. 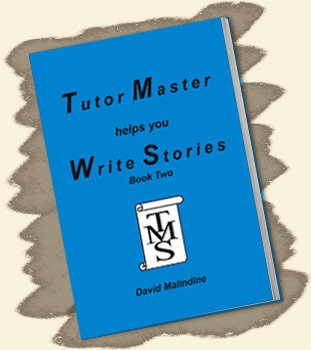 Tutor Master helps you Write Stories Book One and Tutor Master helps you Write Stories Book Two were trialled extensively with students before being published. Parents have been delighted at the self-confidence developed by young writers as they use the story plans to steadily improve their story writing skills. Many hundreds of students have gained success in 11+ examinations for grammar schools, Common Entrance examinations, and examinations to Independent and Private schools using these books to help improve their story writing skills. Was first published in 2007 and builds on the ideas contained in the first book. Advice is given on the key areas that examiners are looking for when assessing students. These key areas include the ability to write speech correctly punctuated, expression of feelings of the story's characters, plus good description using adjectives and adverbs. Using different and imaginative writing styles can make stories eye catching and readable so ideas for starting sentences in different ways are provided for students to use. Written to improve understanding of words to do with the English language and literacy for students aged 9 years and older. Aiming to promote personalised learning, this book is easy to use, helpful and student friendly and supports teaching and learning for students of primary age upwards. 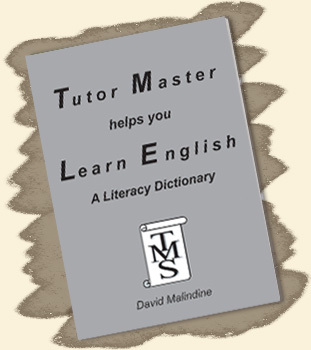 By providing a quick and easy to use source of reference for interesting, unusual, and frequently misunderstood words to do with English language and literacy, this book is useful for not only students but parents, teachers and lecturers too.